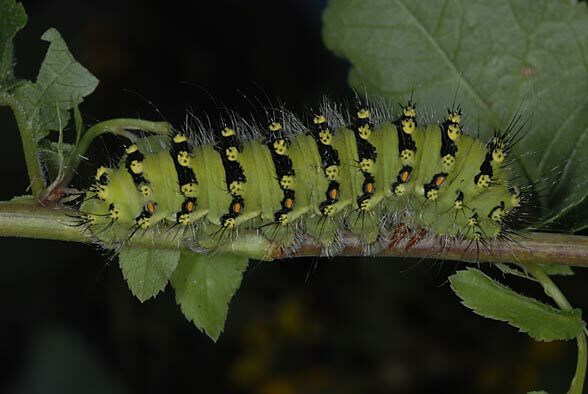 The larva feeds polyphagous on shrubs and herbs like Salvia pratensis and Sanguisorba, including Filipendula. 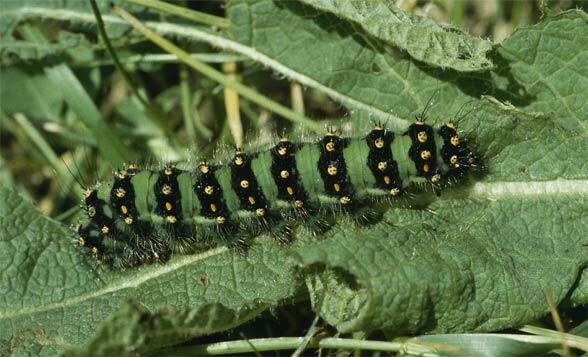 The caterpillar preferres Rosaceae (Prunus spinosa), Ericaceae and is often also found on sainfoin (Onobrychis) or Frangula alnus. 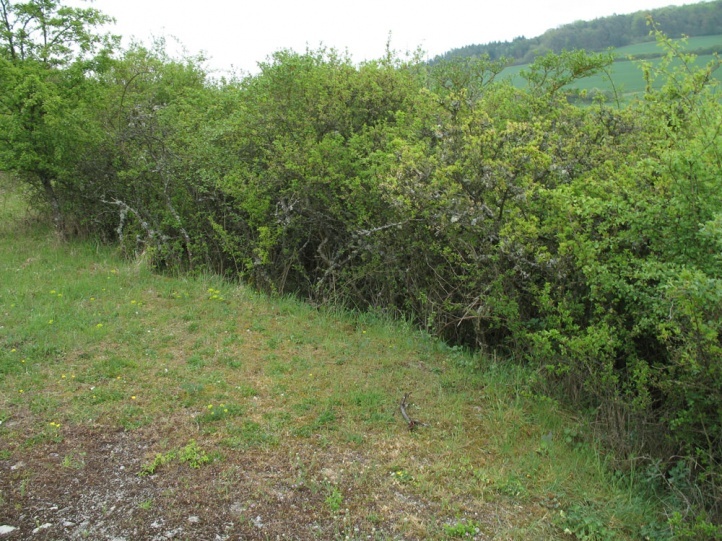 The habitat of Saturnia pavonia can be quite varied, since Saturnia pavonia is not demaning in respect of the habitat. 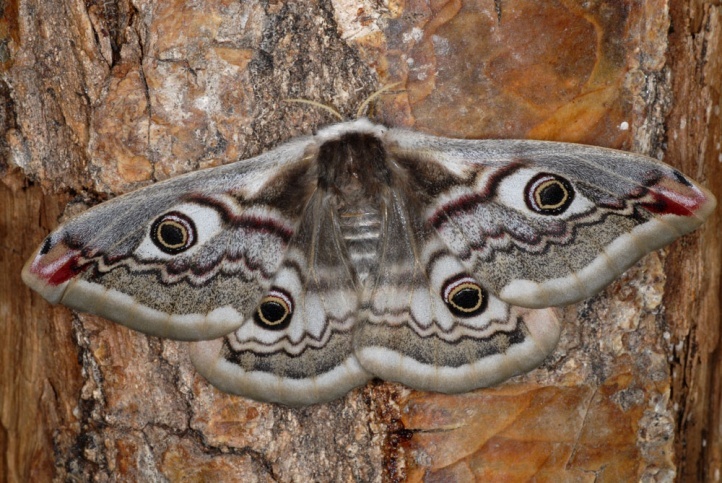 Saturnia pavonia is particularly common in nutrient-poor grasslands with Prunus spinosa scrub or hedges, but also on blackberry-rich, larger woodland clearings, fens and bogs, railway embankments and other uncut areas. 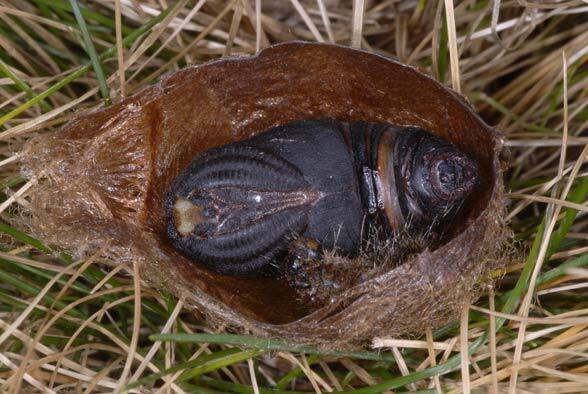 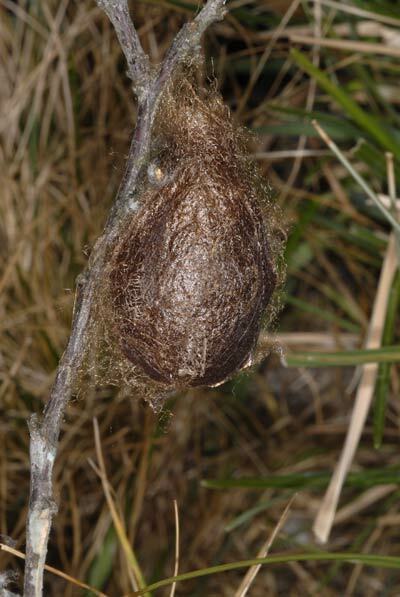 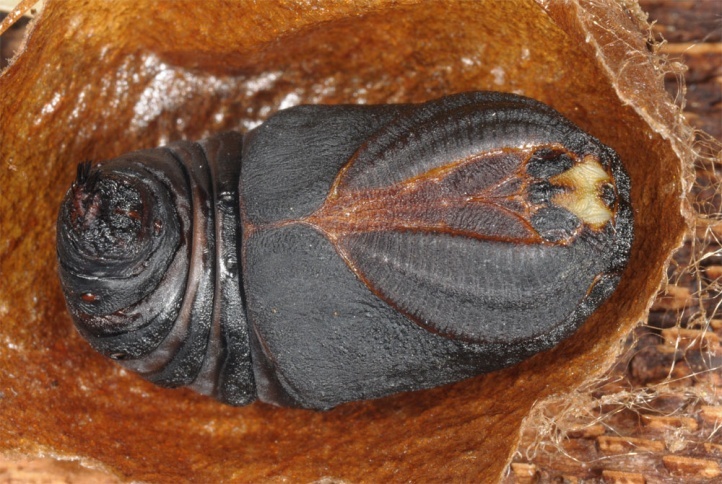 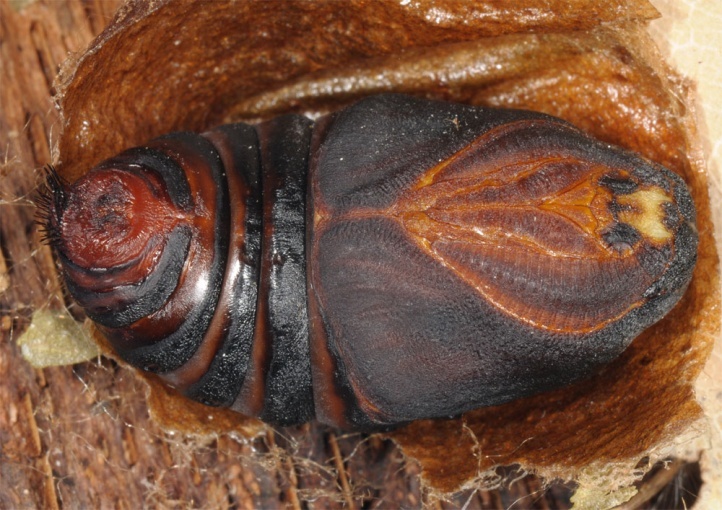 The pupa hibernates in a characteristic pear-shaped cocoon. 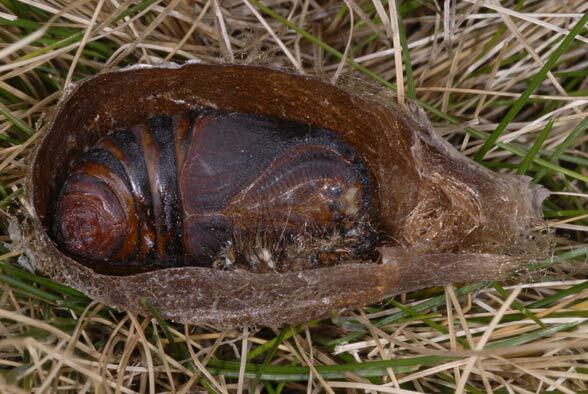 The cocoon is usually constructed well concealed near the ground and rarely applied exposed. 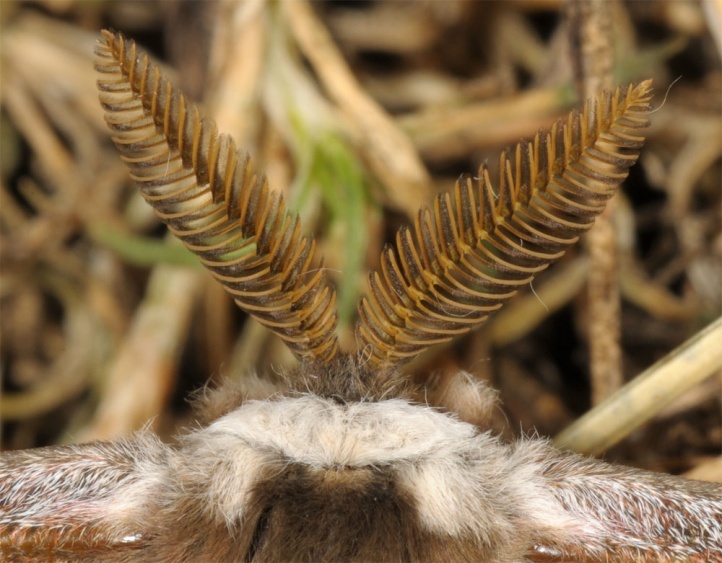 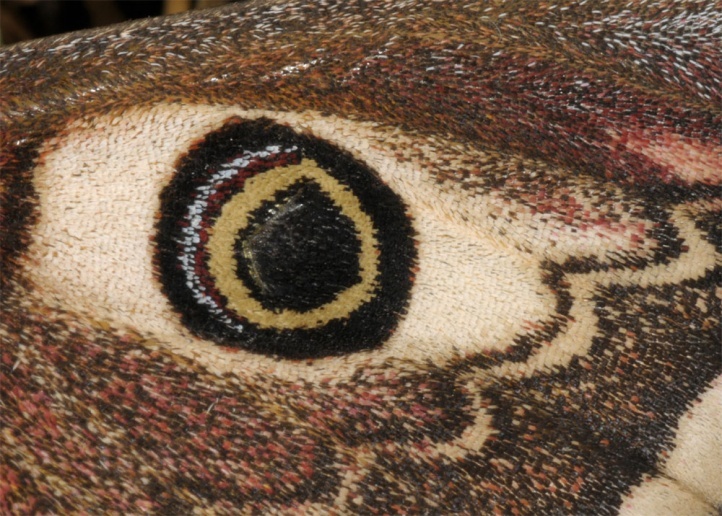 The moths fly mostly in April and May (in warm years first males already in March). 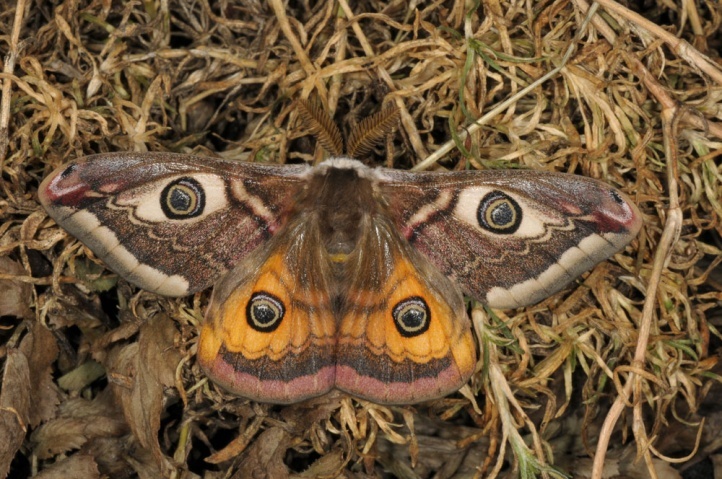 The males can be observed during the day, but they arew usually not as conspicuous as those of Aglia tau. 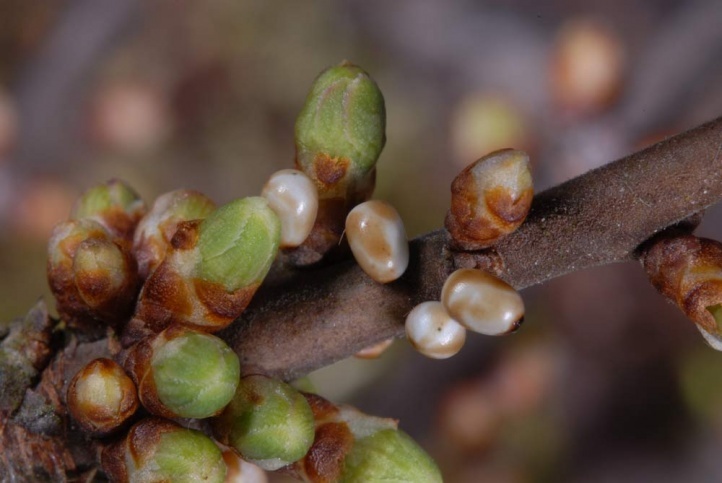 The eggs are found on branches in loose clutches. 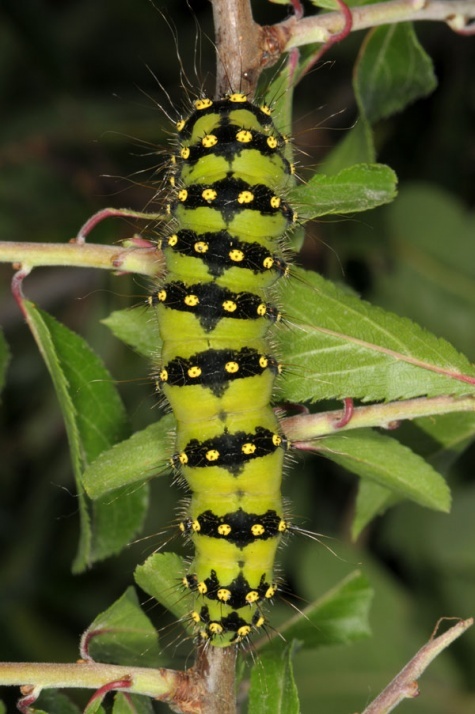 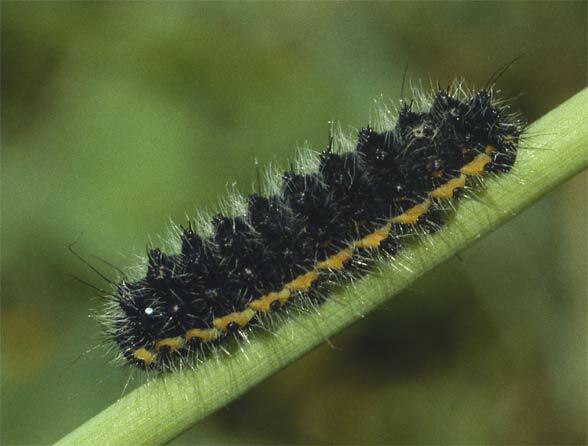 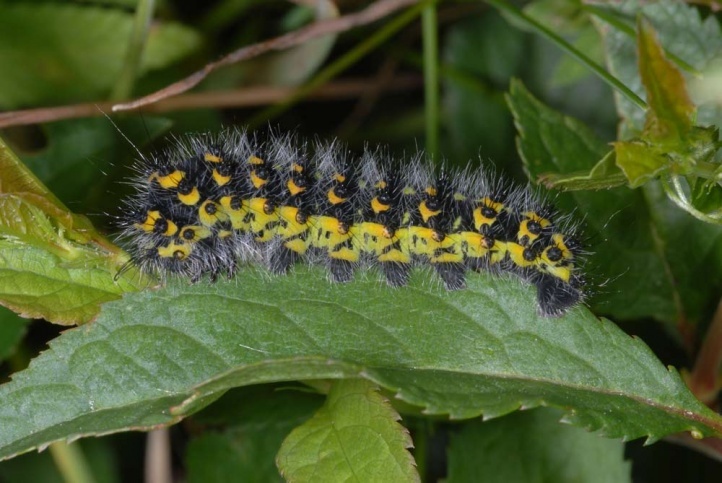 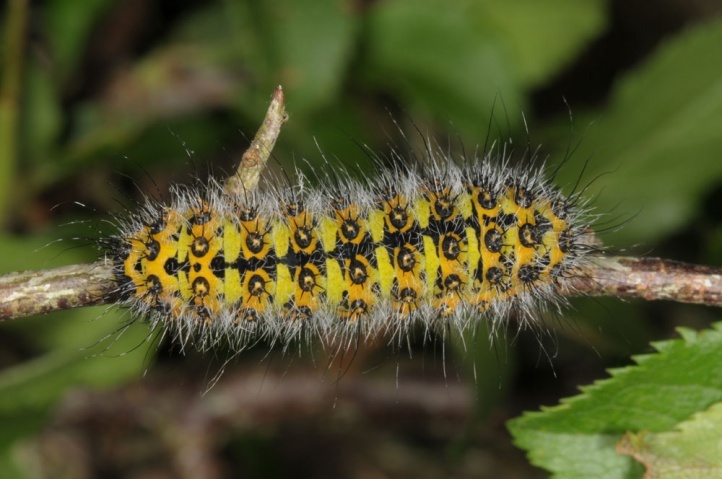 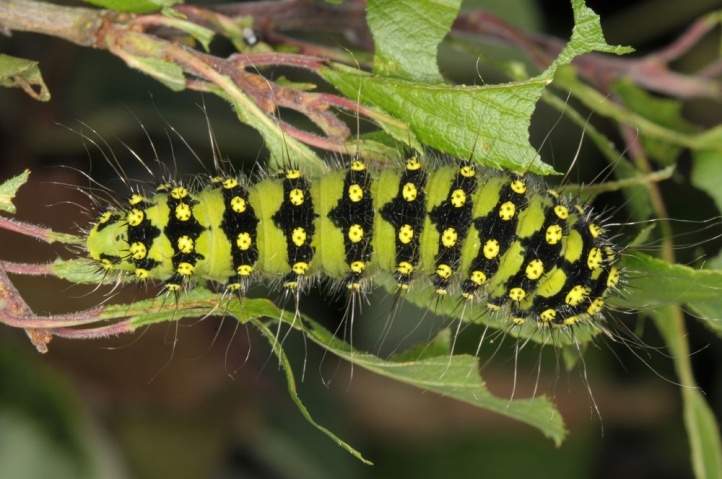 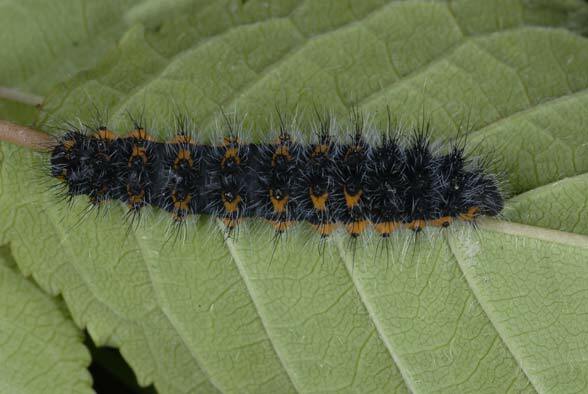 The young caterpillars live socially, the mature ones are found more singly and are not very conspicuous. 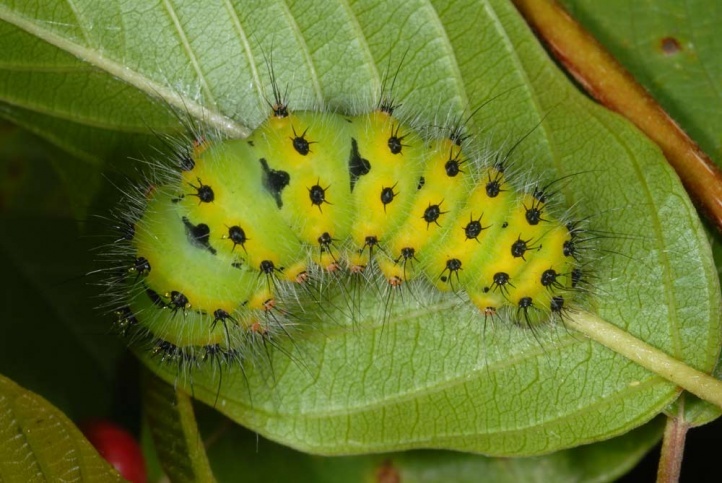 Larval time is from late May to July or early August. 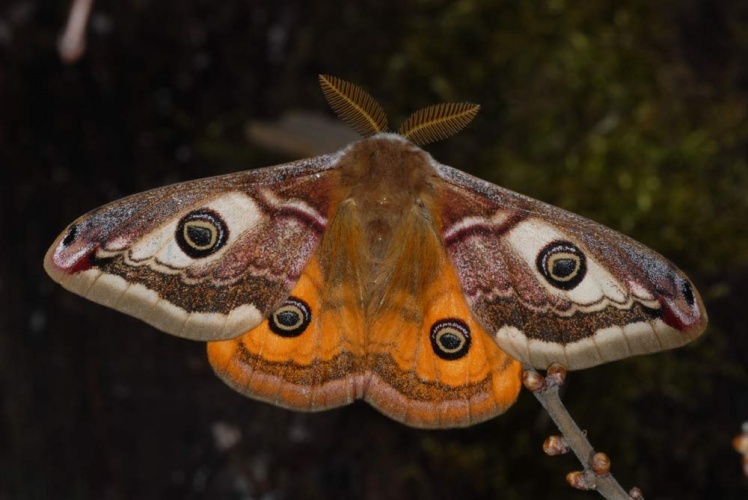 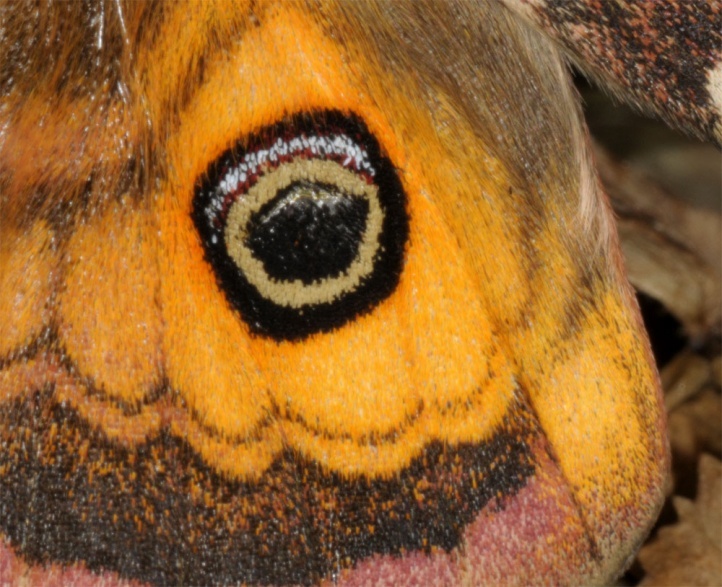 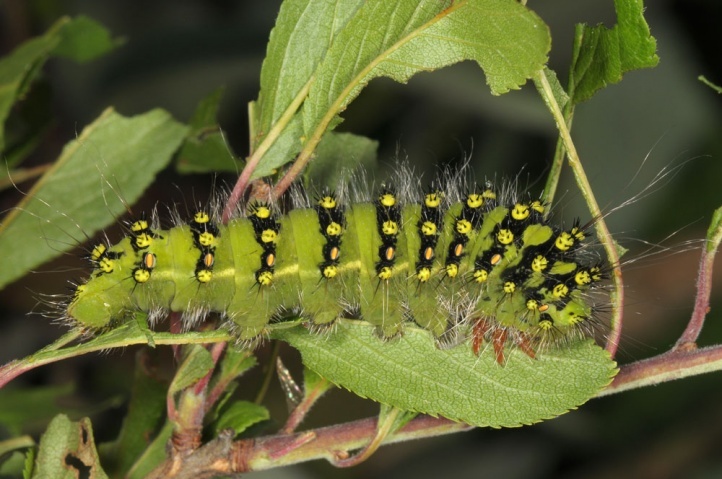 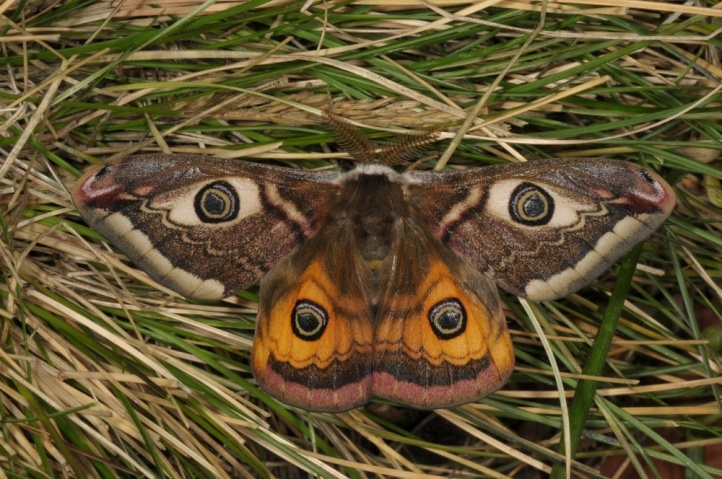 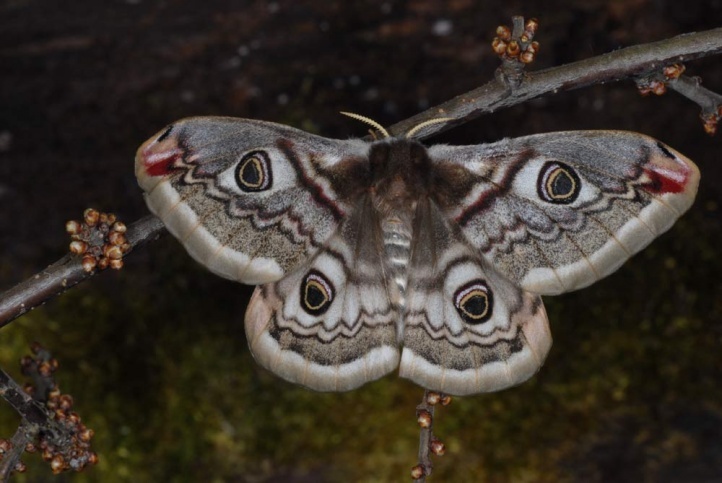 Saturnia pavonia is altogether not endangered, even if the moth has vanished in the cultural landscape in many places by the uniformation of the landscape (removal of any structural elements like hedges) through modern agriculture. 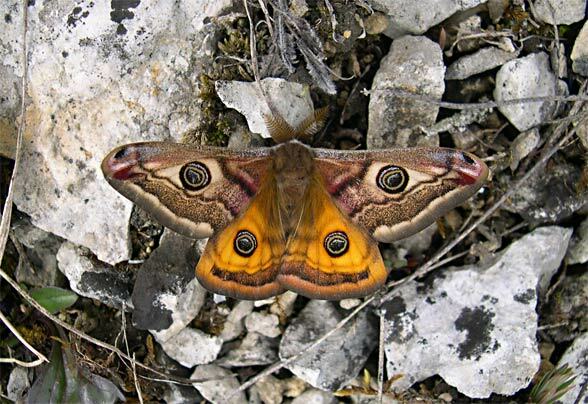 Saturnia pavonia is replaced south of the Alps and in Southern Europe by the very closely related Saturnia ligurica (= pavionella). 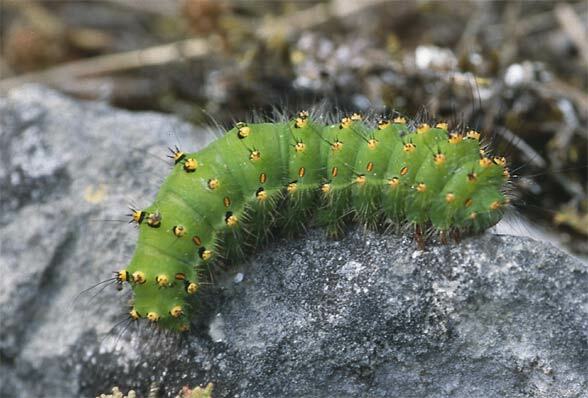 The distribution extends from the British Isles across Central and Northern Europe and more northerly parts of Asia.